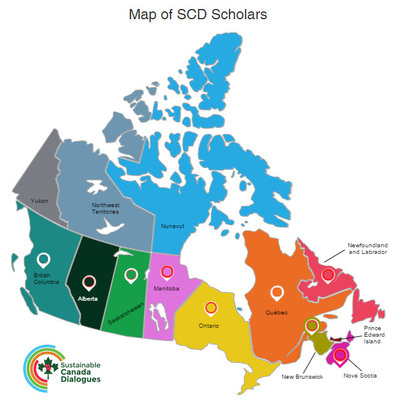 From 2014-17, I was a member of the Sustainable Canada Dialogues (SCD), a network of over 60 researchers from every province in Canada working on a national climate action plan for a low-carbon future. We sought to motivate change and help Canada in its necessary transition toward a low carbon economy. By mobilizing scientific expertise, our initiative identified positive solutions that overcome obstacles to sustainability. ​Follow SCD on Twitter and Facebook. In Fall 2014, UN Secretary Ban Ki-moon exhorted all countries in the world to raise the ambition of their climate change policies to avoid a global temperature increase >2°C during this century. We worked to identify a possible pathway towards a low carbon economy in Canada. Our network of scholars represents disciplines crossing engineering, the sciences and social sciences, where sustainability is at the heart of our research programs. 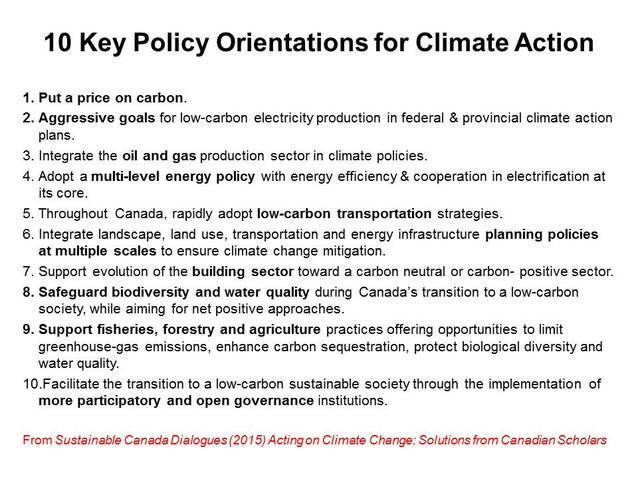 Our first policy-focused position paper, Acting on Climate Change: Solutions from Canadian Scholars, identified ten policy orientations (see below) that could be immediately adopted to kick-start Canada’s necessary transition towards a low carbon economy and sustainable society. We unanimously recommend putting a price on carbon. Please consider endorsing our policy orientations. 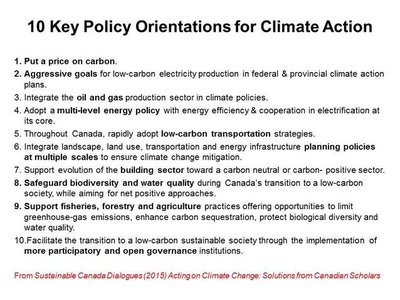 The policies and actions we proposed in Acting on Climate Change: Solutions from Canadian Scholars are limited to our fields of expertise. To expand the discussion, we circulated our position paper to a spectrum of First Nations, businesses, NGOs, labour groups, institutions, organizations and private citizens, asking for feedback. Our second report, Acting on Climate Change: Extending the Dialogue Among Canadians, presents contributions stemming from these interactions. We invited some contributions, while others were offered to us. Sustainable Canada Dialogues and its partners did not lead or endorse the contributions; content, images and artwork belong to the respective authors and organizations. Together, the contributions enrich the scope of possible solutions and show that Canada is brimming with ideas, possibilities and the will to act. 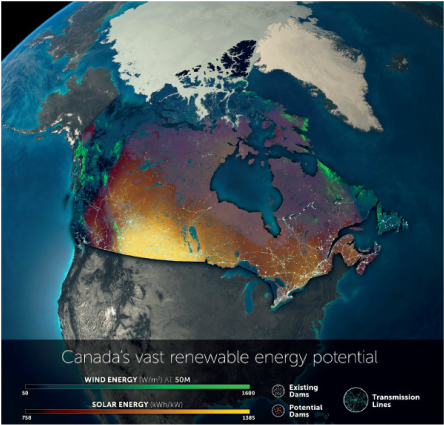 Academics say complete switch to renewable energy within Canada's reach. Those academics were never heard from again. In March 2015, we partnered with Canada's oldest environmental magazine, Alternatives Journal, to bring our climate action plan to the Canadian public: Canada's Map to Sustainability. Our scholars wrote articles about building better cities, communicating climate action, prioritizing policy, the role of biodiversity, and more.